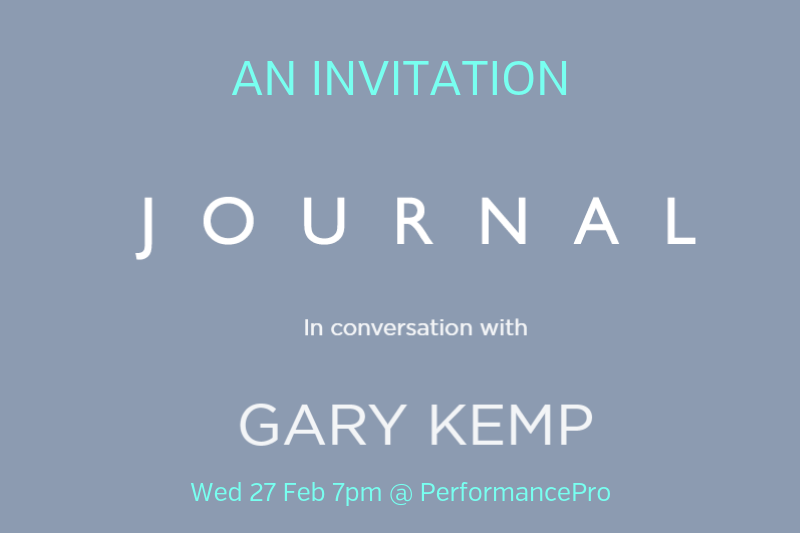 Join us in conversation with Spandau Ballet’s Gary Kemp, founder of Detox Kitchen Lily Simpson and PerformancePro director Anthony Purcell discussing health, fitness, cycling and nutrition in our capital. The event is hosted by Journal’s editor and founder, Kirk Truman. Journal is a free quarterly culture and lifestyle publication available in print and online. It is a periodical of London stories, distributed in Fitzrovia, Soho, Bloomsbury, Marylebone, Mayfair, and selectively in Clerkenwell, Islington, Shoreditch and other neighbourhoods in Central London. The publication is design-focused with a people, business and editorial section offering a unique perspective on various subjects in the neighbourhoods we cover. Regarded as a local guide to some of the best lifestyle happenings in Central London, it has become a staple of the West-End. Detox Kitchen is about taking away the stress of planning, shopping and cooking healthy meals. PerformancePro director and co-founder, Anthony Purcell, is a certified Personal Trainer, Strength and Conditioning Coach and Cycle Performance Coach.